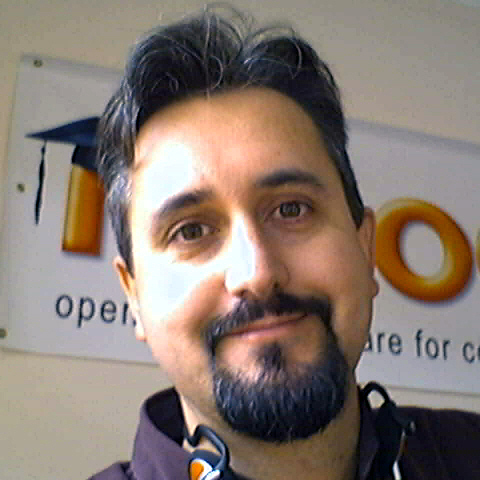 I attended Moodle Moot 11 for the first time this year. I’ve been happy to catch up from others or to visit blogs to get a sense of the up and coming Moodle stuff but I must say that there is nothing quite like a face to face dialogue with other practitioners to help to clarify the big “elephants in the room” and get them addressed. Highlights of the conference for me included Gráinne’s keynote and her differentiation of services which are ‘object’ centric compared with those which are ‘ego’ centric. I hadn’t thought much about this up until now but I’m definitely finding an urge with my twitter and Facebook posts to make them ‘quirky and interesting’ and so Gráinne’s talk struck a cord. It was quite an academic and generic but none the less inspirational and her references to works by Sara De Freitas and Michael Wesch were on the money, for example how people either love or hate Facebook, the fact that the people and technology both evolve together and organisations are generally slow to employ technology well to evolve their practices. There was a workshop from University of Kent on their move from WebCT to Moodle which followed a similar model to MMU and they transferred in around nine months (January to September 2009). They made strong reference to the LTI specification and later in the MOOT we had confirmation for increased LTI support in M2. They have a blog site that explains their work in the LTI arena. Other things that I attended included a workshop on Individual Learning Plans. I was impressed by the work done by Hall School on getting tutor feedback models and peer review and peer assessment processes in place and which they seem to think works. I also found it interesting that they (also) use Google Apps and Moodle model for their VLE and do various things around the portal to make these as integrated as possible and have single sign on working across them. The Hall School chap caused a bit of a stir by suggesting that Google Apps is the future for the VLE in his opinion and they’ve started using Google spreadsheets for peer assessment and Google Sites for ePortfolio (as they didn’t want to add an extra layer of complexity by adding Mahara to the mix). There was a good talk by the University of Vienna on using Eye tracking for Usability using the Tobii Eye Tracker. I agree with everything that the chap said but we at the Open University also use the same equipment and also user studies, paper-prototyping and accessibility testing and a myriad of other practices throughout VLE development so I found it useful but to me it’s to be used in context of improved testing regimes rather than the ultimate tool (for example certain elements are more distracting to some people than others, causing fixations which could be interpreted incorrectly if not backed up by other evidence, for example whether colour blindness affects the fixation). (c) Martin is not interested in building a repository within Moodle and indeed the emphasis is on building good hooks from and to Moodle with whatever back-end of middleware products you wish to use for your installation. I spoke to the Equella people on day 2 and discussed how they’re working with MoodleRooms to provide an alternative hosting service to the MoodleRooms/Alfresco option. They also want to promote their products as aggregators and to enhance visibility of institutional repositories. Providing the glue. I spoke to the Institute of Education about their use of PebblePad (hosted by PebblePad) but was surprised to find that they leave the whole service in the hands of the students so that for example it can be used for CPD activity but relies on the students being trusted to manage their portfolio and not ’embellish’. They did say that it was extremely well used by their students as a reflection tool. I attended three workshops on day 2 two of which were from the OU as I was learning as much about how our developers see our installation as how other people view theirs. I found it refreshing to ‘look in from outside’ with fresh eyes. I think the team in the OU within the Learning and Teaching Solutions unit do a fantastic job of which they should be very proud and it really showed at the MOOT how much they are respected in the Moodle community. The other workshop I attended was from Dyslexia Action about their support of students. Boy do they give intense and active management, guidance and support. I’m really not sure if it would scale to the numbers the OU supports but I admire their dedication to their students. Camtasia to provide screencasts, Scribd to provide documentation support, help button and FAQ’s, webinars to get students involved then further webinars for tutorial support, live chat for support issues including Jing and Skype and when all else fails GotoMeeting . It made me tired just listening to him! Due to the current economic climate and the need for belt tightening in the public sector many organisations are now exploring various forms of outsourcing to try and ‘reduce costs whilst still maintaining services’. Hmmm. The latest one that I’ve heard of is Suffolk County Council who are doing this wholesale to a single outsourcing supplier as a “megadeal” – There’s an article in Computing Magazine about this. There are many other articles about this and the common theme seems to be outsourcing is more likely to be a consideration during recession. I have however read many articles which say there are risks with outsourcing within the public sector, and I know these from my own experiences and those of my colleagues, the main risk being outsourcing can be beneficial in the short term but have negative impacts in the longer term because you lose skills internally which you may need down the line. However more outsourcing and shared solutions within the public sector is inevitable, and I think healthy. We are moving to a more commoditised view of services and therefore we should all be looking to move ‘up the value chain’ and deliver at the level that is most appropriate. For example why are Universities investing in infrastructure and IT Support, in management of those services and in server rooms and hardware and system software when these things can all be bought off the shelf through a IaaS, SaaS and PaaS providers like Amazon? The question senior management should ask is where is the right balance? – We have had fifteen years at least of commercial vendors such as Microsoft and Sun creating products for the educational market with mixed success however the landscape is changing and products like Blackboard and Moodle are now fully featured, mature and relatively low cost options compared to creating bespoke environments. The amount of customisation varies, blackboard is more of a “blackbox” solution, allowing the value to be added through the way it is used, whereas Moodle allows for more customisation at lower levels which can be powerful but also costly. But the models aren’t just limited to LMS. Outsourcing could apply to the course (module) materials, and in fact to the assessment services and assessment of courses. If you go down this route you get more into the realms of the ‘for profit’ organisations like Kaplan and you then do look at the bottom line all the time in assessing your curriculum. I’m not sure that’s always a healthy way to be but there is a need for Kaplan, just as there is a need for open and free educational resources. Each organisation has to assess the level of outsourcing and how the quality and values of that organisation work within the proposed model. If you add value through the richness of the engagement with students and that requires specific adaptations then you must either have environments which allow that customisation, or work with partners who can understand your organisations needs and allow you to have control of the quality assurance. “That old chestnut again” about whether to continue to invest in a centralized service or whether to look at a more SOA approach for the OU’s Virtual learning Environment (VLE) has risen its head again. Ross MacKenzie has blogged about the fact that with the imminent release of Moodle 2 the OU is conducting a landscape review of competitors including Sakai, Desire2Learn and BlackBoard, exploring the features of each. In my opinion moving to Blackboard or D2L, which are both commercial VLE products, would be quite a significant shift in cultural and strategic direction – moving the OU into a position where it would be using a commoditised approach to delivery, customising an off the shelf product for delivery and in direct competition to other sites offering similar services through the same toolkit. This may be a step too far for the OU but it doesn’t mean that it wont happen. If the OU accepts that it’s the content and quality of teaching and the tutorial support model that makes it unique rather than the technological infrastructure that provides ‘supported open learning’ then this might be the way forward, especially to achieve saving whilst delivering to very large scale. Setting aside those two products and looking at the Open Source VLEs which is more in line with the OU’s current philosophical approach there is Sakai and Moodle. Back in 2004 Martin Weller and I had a discussion when he was exploring VLE’s for the OU. Martin suggested that what was really important for a VLE/MLE was integration. A system that is flexible and extensible and interoperable and standards-based. He was thinking then that Sakai was the way forward for the OU. In the end the OU went for Moodle and since then has been quite successful with it and both the OU and the Moodle community have benefitted from the relationship. However the marriage has not been without its tensions and the OU has a lot of customised code within the OUVLE that is not part of Moodle core. Another tension is that even with ‘modules’ Moodle remains quite a monolithic product with over 1m lines of code. This is not as flexible an architecture as Sakai which is more truly modular and component based. In 2004 Sakai was far to green to really be considered for the OU but things have changed and it is now in use in over 200 Universities and colleges worldwide. By the way there is a good blog post provided by Mark Smithers providing some public comparisons of LMS’s. 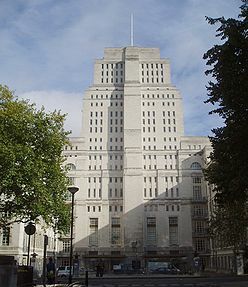 The review that the OU is conducting is going to be purely comparing features of Moodle 2 against the direct competitors but I hope that it can also be used to move the ideas of shared services, distributed and hybrid cloud architectures for creating a more personal, student centred environment. I hope that thinking around commoditisation of service doesn’t close down but rather open up the range of features and services available. I hope that the OU considers itself to be more than simply pushing out (good quality) content through standard channels but rather creating, innovating and delivering new channels and ways for people to find learning through a variety of online social engagement and formal and informal methods – with intelligent services scaffolding that learning process. That’s where I hope we’re going.